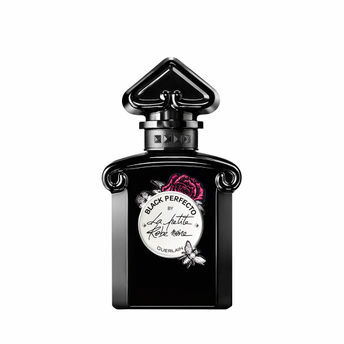 Guerlain La Petite Robe Noire's Black Perfecto Florale is a cult accessory. A fragrance created by Guerlain, this Eau de Toilette celebrates the rose in all its forms. Grasse rose-water, rose essential oil and rose absolute are encircled with almond and leather notes. The legendary inverted heart bottle takes on an intensely dark, black look. A white label embroidered of roses lends the finishing touch to this couture, fashion style. Explore the entire range of Perfumes (EDT & EDP) available on Nykaa. Shop more Guerlain products here.You can browse through the complete world of Guerlain Perfumes (EDT & EDP) .Alternatively, you can also find many more products from the Guerlain La Petite Robe Noire Black Perfecto Florale Eau De Toilette range.